Wilberforce Falls is an almost 60 m (197 feet) tall waterfall located in the Wilberforce Gorge of the Hood River in Nunavut, Canada. 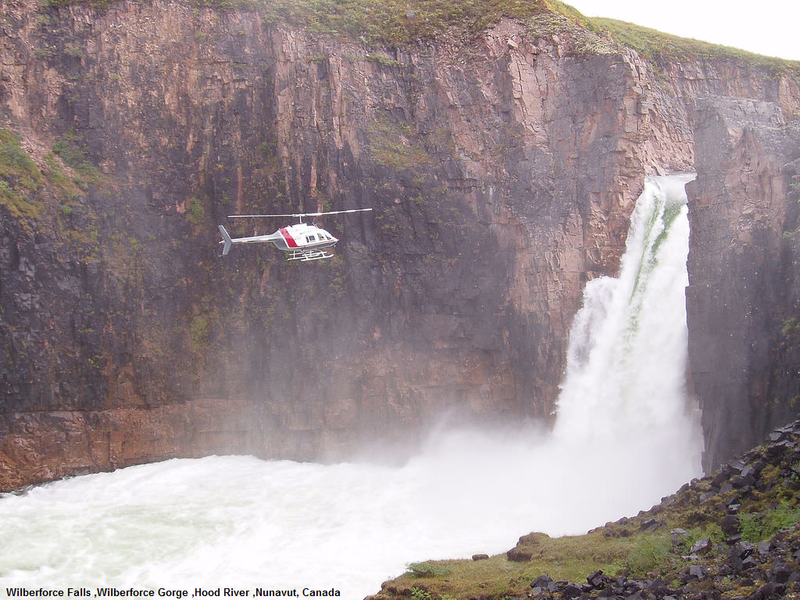 The falls is one of the few major waterfalls in the world north of the Arctic Circle.Wilberforce Falls is an amazing waterfall close to the mouth of one of Nunavut's most northern rivers. It is about 25 km from the Arctic Ocean.Although they exhibit a larger drop in elevation they are spread over a larger distance and less abrupt than Niagara Falls. They exhibit a pretty amazing morphology.The falls were named for William Wilberforce, an English politician and leader of the movement to abolish the slave trade.